Honda Activa 6G could be an Electric scooter by Honda 2 Wheelers. Priced under 1 lakh rupees with an expected range within 100 Kms. Honda Motorcycle & Scooter India Pvt. Ltd. (HMSI) is the only company in India and even in the world to add 1 million incremental 2 wheeler sales in one year. India is already the Number One contributor to Honda’s global two-wheeler business. Honda 2Wheelers India sold a total of 5,51,601 units in May 2018 with 3% growth compared to 5,37,035 units in May 2017. Exports grew by a massive 22% to close at 32,529 units in May 2018 from 26,654 units in the same month last year. The company has already announced that they will invest close to Rs 800 crore for double digit growth for the coming years in India. Honda might soon catchup the “Going Electric” trend with their upcoming Honda Activa 6G. Before we start talking about Honda Activa 6G, let us see how Honda was able to build traction in India. Activa is a super successful blockbuster scooter in India and the 5th generation of Activa aka Activa 5G which was recently launched. The all new Activa 5G is a feature packed scooter keeping the good old legacy of Activa . New Honda Activa 5G features full LED headlamp and position lamp which is the first-in-industry feature for a 110cc scooter in India. The 5th generation of Honda Activa 4G gets next generation looks like new front chrome garnish. Activa 5G has been introduced in 2 new color variants. Can consumers expect a complete refresh in the upcoming 6th generation Honda Activa 6G? Considering the popularity of the Activa series, Honda Motorcycle & Scooter India Pvt. Ltd. (HMSI) is most likely to introduce a 6th generation Activa soon. The upcoming electric based scooter is likely to be called as Honda Activa 6G . The legacy of Activa will be more exciting if Honda addresses the rapidly growing electric vehicles market by bringing the 6th generation Activa in electric powertrain. According to the CEO of Honda 2 Wheelers, the company’s major objective will be on getting the pricing, driving range, and performance right. The company has planned to offer a minimum range of 100 KMs on a single charge if it brings a EV scooter for the Indian market. The first such high range electric scooter could be the Honda Activa 6G. The company is currently working on an electric scooter from Honda’s headquarters in Japan to develop an electric scooter for countries like India . 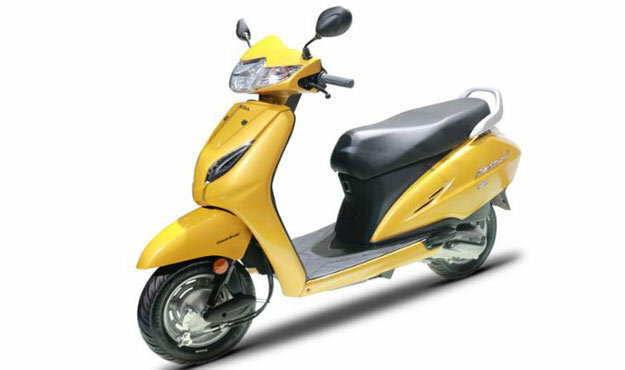 Launching an electric scooter like Honda Activa 6G should help the bike manufacturer to hold on to its glory which the company is enjoying now. Talking about the competition, other manufactures have already set to take the EV mantra. Manufacturers like The Hero group, which was the former partner of the Japanese two-wheeler giant, is also active on its electric two-wheeler plans. Royal Enfield is also looking into the electric technology. TVS Motor Co. has already in the game with its Scooty Teenz electric. Bangalore based electric startup ATHER energy has already launched their first smart electric scooter340 and 450. Ather has also introduced charging infrastructure for electric vehicles AtherGrid in Bengaluru. All the manufacturers are now busy working on the electric two-wheeler side since market for electric scooters are gaining traction. Companies like Ather are testing the waters by introducing 450 and 350 in the Indian EV market. This shall provide Honda a good market feedback for its pricing strategy. The price of upcoming Honda Activa 6G Electric scooter can be somewhere less than 1 lakh rupees.